We love chocolate in this house………. we will take it anyway we can get it. But add it to some cream & freeze it & we are in heaven. 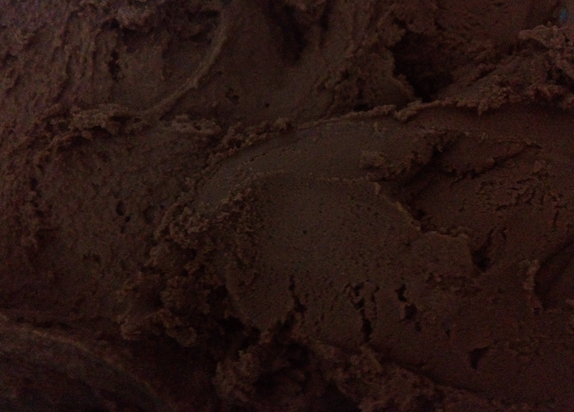 It is a very dark chocolate (the Lindt 75% bar of ice creams, if you will!). If you like you chocolate more on the milk chocolate (cadbury) side of things simply adjust the amount of cacao chips you put in to make a more mild creamy ice cream. We love to add 3 – 4 tablespoons of peanut butter to this ice cream in the last few churns to make our own knock off version of Baskin & Robbins Peanut Butter Chocolate ice cream, without all the sugar & chemicals 🙂 but still packed full of flavour. This recipe is not one of my healthier recipes, BUT it is healthier than most store brought ice creams which are aerated with chemicals & have a shelf life of 2 years +, I kid you not!! I have no idea what you put in ice cream to make it last 2 years but I am pretty sure I don’t want to eat it or feed it to my child. This ice cream made with organic ingredients & raw dairy products is simply a better healthier option without skimping on flavour or decadence. Place the first five ingredients in the top of a double boiler & gently heat while constantly whisking (like you would a custard). Once the mix has thickened to the stage where it coats the back of a spoon add the cacao chips & stir in until melted. 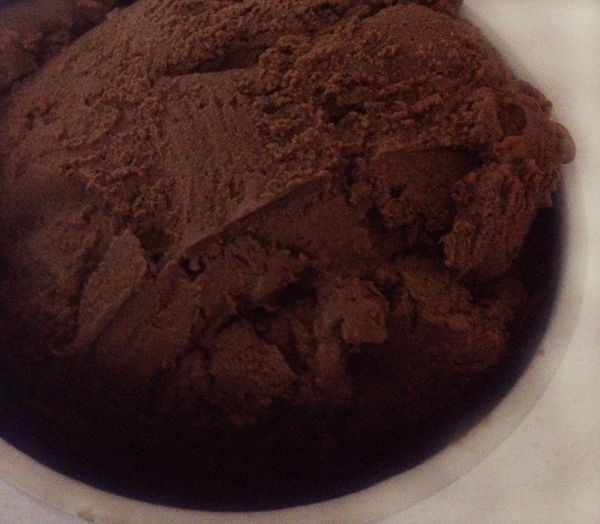 Let your chocolate mix cool (try not to eat too much of it – you are trying to make ice cream after all) & then place your mix in your ice cream maker for the magic to happen.